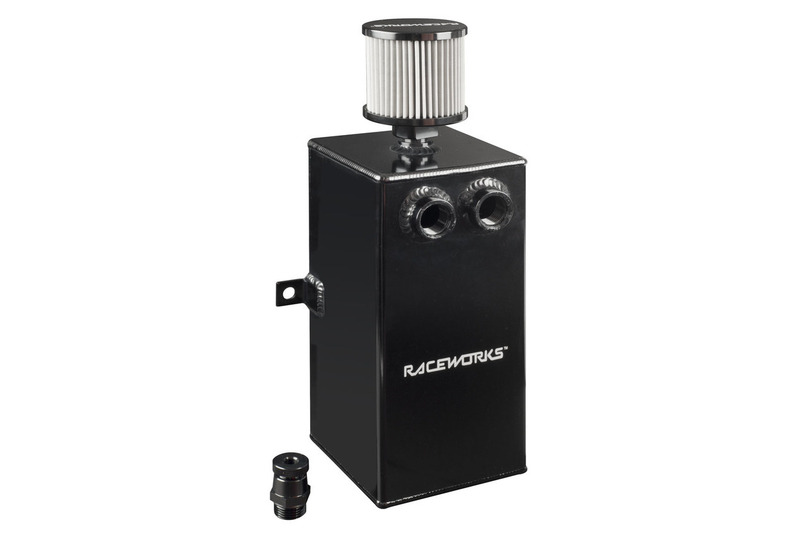 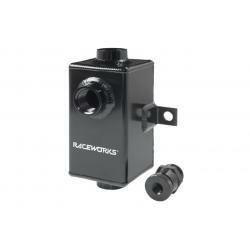 Raceworks Black Aluminium Catch Can With Drain Tap 3L. 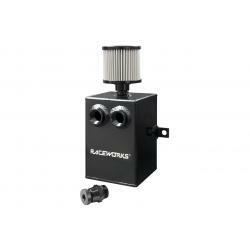 An oil catch can or breather tank is an essential step in removing PCV oil before it enters the combustion chamber, and must be baffled while providing unrestricted flow to maintain efficiency and prevent intake carbon build-up. Raceworks Catch Cans have been crafted to meet the most extreme street and track conditions, and are robot welded from 5052 aluminium. 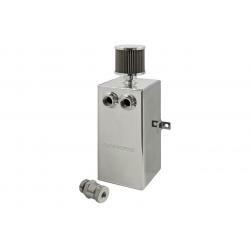 A tapered banjo-style drain plug is fitted to each unit for spill-free oil retrieval, and can be completely replaced with any suitable AN or barb style adapter if a permanent oil-return solution is required.